Books have always been and will always be a part of my life. I absolutely love reading...whether it be an actual book, an electronic book, a magazine...any and all please. 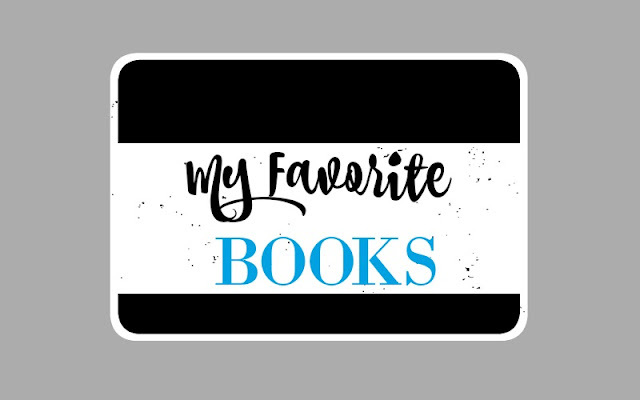 I realize that though I've blogged about some of my favorite children's books, I've never shared my overall favorite books. So without further adieu, I share them with you today. Probably my #1 favorite. It has mystery, family drama, romance and is set in Regency England. What more could you ask for in a book? Plus the heroine is what I call "earthy". She seems normal. The book doesn't say she's especially beautiful but she is wise and witty. I'm sure this book tops many other readers' favorite books list as well. But Jane Austen just gets it. This book, though also set in Regency England, still is very relevant to today's society. Timeless truths and themes are what gives a book staying power. Side note: I saw Pride + Prejudice + Zombies over the weekend and loved it! Seriously it was really good. It stayed with the original plot very closely and had a whole other level of the zombies. The women are all trained in Asian combat arts and are basically like warriors. Loved it! I still vividly remember the plot of this book and my reactions while reading it. This was my first Jodi Picoult book and by far, in my opinion, the best. A lot of her books tend to have the same sort of storyline but reading this one first it absolutely got and held my attention. I loved how this book's twists and turns emphasized familial relationships and tests of bonds. So good! It's hard to say that a book has changed you permanently. But when I read this book in 8th grade it sparked a holocaust fascination phase that has continued into my adult life. It's one of those books you read when you need a little perspective on life. This will forever be a favorite of mine. Jane Eyre is one of my favorites as well. I read Night only recently. Wow. What he endured wasn't anything that we aren't aware of, but reading it, I felt so pained, so disgusted, and so sad. Learning from history is so important. This is a perfect list... for List App. : ) Great choices. I try every few years to read Jane Eyre because you love it so much. It's just not my jam. These are some good choices! I remember the first time I read My Sister's Keeper too! Lots of tears!